As Professor D.S. Watson observed,” microeconomic theory explains the composition or allocation of total production. Why more of some things are produced than others”. Microeconomics is helpful in the efficient employment of the limited, scarce resources of a country. The principal problem faced by the modern government is the allocation of its scarce resources among the competing ends. It is the burning problem of the day. Microeconomic theory explains the condition of efficiency in both production and consumption, which are vital to economics and highlights the factors which are responsible the departure from efficiency. On this basis microeconomic theory suggests suitable policies which should be adopted by modern governments to promote economic efficiency and thereby achieving all-round growth, prosperity and stability in the economy. Microeconomics is of great importance in understanding the working of free enterprise economy without any central control. In such an economy there is agency to plan and coordinate the working of the economic system. Such decisions as to how to produce, what to produce, when to produce, and for whom to produce are taken independently by the producers. Similarly, decisions as to what to consume, whom to consume and how much to consume are decisions taken by consumers themselves. Microeconomics is also helpful in the development of international trade. It is used to explain the gains from international trade, balance of payment disequilibrium and the determination of foreign exchange rate. Microeconomics is also helpful in understanding the implication of taxation. It helps in explaining as to whether an income tax leads to decrease in the social welfare or an excise duty or sales duty. It is the imposition of an excise duty or sales tax that leads to the decrease in social welfare rather than income tax. The greatest justification for the study of micro economics is that it provides the basis for welfare economics. The entire structure of welfare economics has been built on price theory which is the constituent part of microeconomics. It shows how the relative prices of various products and factors are formed. A.P. Lerner observed, “Microeconomic theory spells out the condition of efficiency and suggests how it can be achieved. These conditions can be of great help in raising the standard of living of the population. 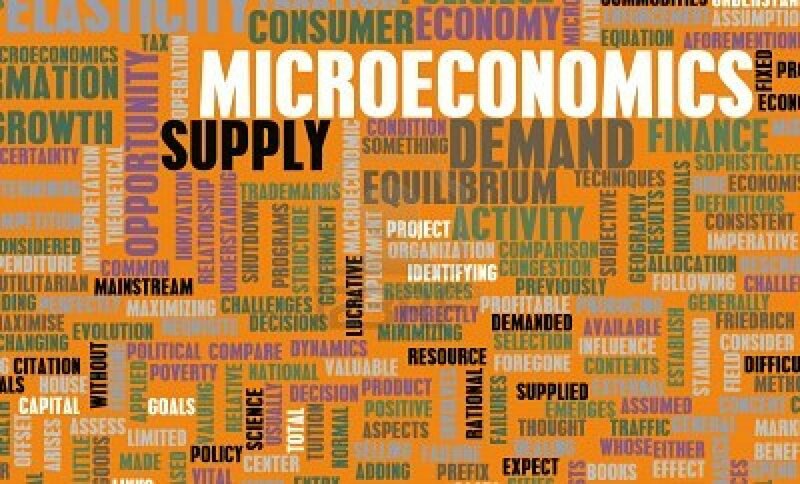 Microeconomics provides tools for evaluating economic policies of the state. Microeconomic theory explains the condition of efficiency in consumption and production and highlights the factors which are responsible for the departure from efficiency. On this basis microeconomics suggests suitable economic policies to promote economic efficiency and welfare of the people. A Price policy is also an important tool for economic policies. Microeconomics helps the state in formulating correct price policies and evaluating them in proper perspective. Microeconomics constructs and uses simple models for understanding of actual economic phenomena. In this field, the usefulness and the importance of microeconomics is aptly stated by Professor A.P. Lerner, he writes, “microeconomic theory facilitates the understanding of what would be a hopelessly complicated confusion of billions of facts by constructing simplified models of behaviour which are efficiently similar to the actual phenomena depart from certain ideal constructions that would mostly achieve individual and social objectives”. He further writes,” thus they help not only to describe the actual economic situation but to suggest policies that would most successfully and most efficiently bring about desired results and to predict the outcomes of such policies and other events”. Brill, it helped a lot. I am grateful. So helpful for my assignment.